This season’s Premier League title race may be two-horsed, but it has been extremely exciting to say the least. Both Liverpool and Manchester City are still very much in it, and have been trading the first and second spots in the table consistently over the past few weeks. While Jurgen Klopp’s men currently sit at the top with 85 points, Pep Guardiola and co. are only two points behind, but with a crucial game in hand. With just four more gameweeks to go, the title is set to be decided in the coming month, and the competition’s most successful team, Manchester United, might just end up having a major say in the final outcome. While Liverpool‘s four remaining games aren’t against any of the ‘big six’ clubs, two of Manchester City‘s five league fixtures are against the likes of Tottenham Hotspur and Manchester United. 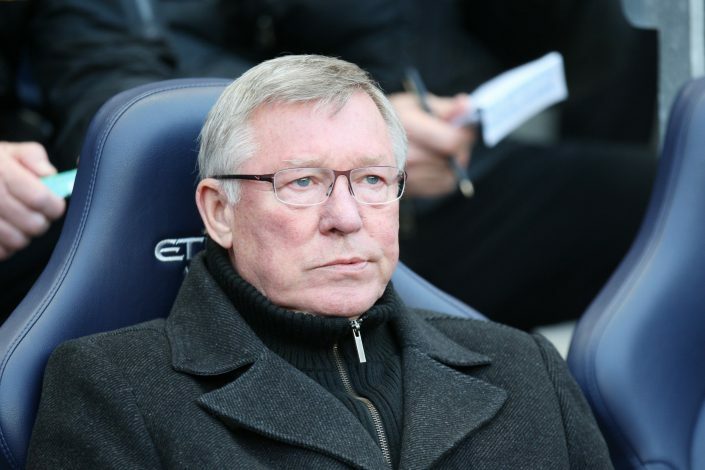 The Manchester Derby, in particular, could help tilt the title race in the Merseyside giants’ favour, according to Red Devils’ legendary manager, Sir Alex Ferguson. According to Jonathan Walters, Ferguson has tipped Liverpool for the win this season, as he believes Ole Gunnar Solskjaer’s men are capable of putting a serious dent in City’s title hopes. Speaking at BBC Radio 5 Live’s Football Daily podcast, Walters stated: “I was chatting with Phil Bardsley, and I’m going to drop a name here, he was sat with Sir Alex Ferguson.